This First Aid Kit is designed to provide first aid care for up to 25 people. 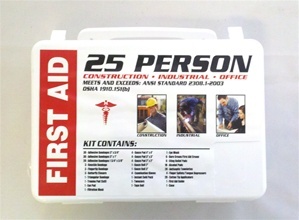 First aid supplies in this kit come in a plastic case/cabinet with gaskets that can be mounted on a wall. 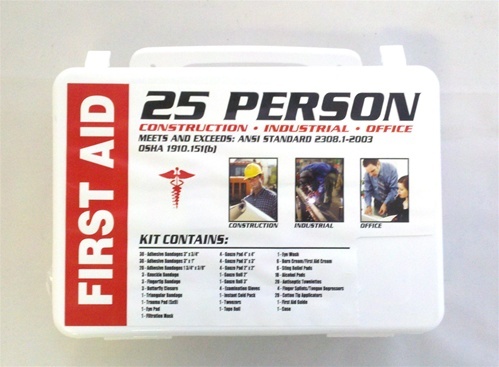 This first aid kit meets and exceed ANSI Standard 2308.1-2003 and OSHA 1910.151(b).51b) and is well suited for construction sites, industrial sites, offices, and schools.